This is one miraculous Tuesday. First, everyone was shocked when Amber Rose and Kim Kardashian posted a selfie together. Now, Kanye West and Wiz Khalifa ended their feud, West announced via Twitter. Wait. What? You read that right, West and Khalifa are all good now. Basically, just forget about their ridiculous Twitter feud, because apparently they have. As West tweeted, "Me and Wiz spoke yesterday. Great convo. All positive." For those who need a refresher about the epic Twitter feud that was more than a mess, it happened last Tuesday. How nice that the two are now cool with each other exactly one week after they made headlines for their heated Twitter battle. Anyways, it all started when Khalifa seemingly accused West of stealing the name of his new album, WAVES. It erupted from there and soon enough everyone was watching Twitter to see who said what next. West ended up tweeting up a storm of insults to Khalifa, but eventually, he went back and deleted his tweets. Now, he's letting his followers know that the feud is completely over and the two are moving forward in a positive way. Well, that got settled quickly and quite nicely, didn't it? It almost seems too good to be true. Did They Talk Over Tea? Kardashian captioned her photo with Rose, "Tea anyone?" That doesn't necessarily mean they had tea, but here's hoping West and Khalifa did. If so, I need to know what kind of tea they like. Are Amber & Kim Responsible For This Epic Make-Up? I guarantee there are some people wishing and hoping that these two ladies had a hand in the rappers coming to good terms with one another. It just seems too coincidental that Kardashian and Rose AND West and Khalifa are totally cool with each other on the exact same day. Did Either Of Them Apologize? Did they both say, "I'm sorry," or do you think they just shook hands and dished everything out without having to actually utter those words? Was It Over The Phone Or In Person? There's a chance that West and Khalifa didn't even meet in person, but just chatted via phone. The way West's tweet reads, it seems like it was over the phone, but part of me really wants them to have met in person. If In Person, Did They Take A Selfie, AKA Proof For Fans? And this is why I hope they met in person. Don't act like you aren't thinking it, too. 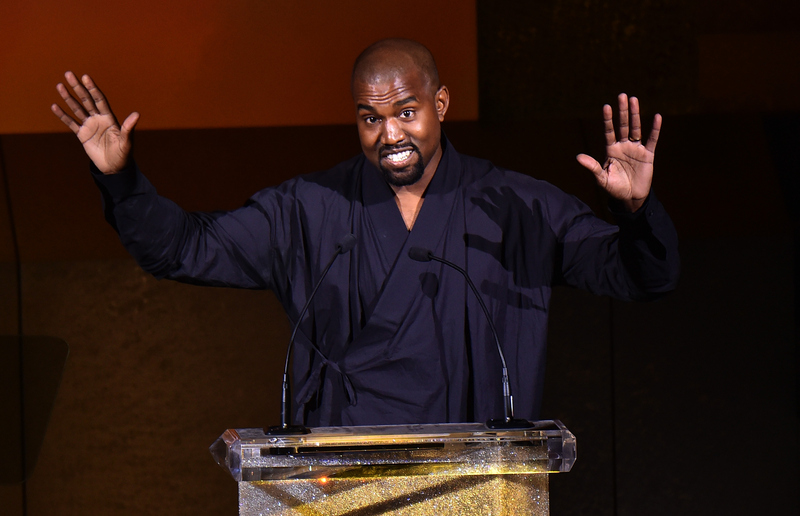 Did Kanye Have An "Imma Let You Finish" Moment? Knowing West, he probably interrupted Khalifa a time or two, but did he have Taylor Swift at the 2009 VMAs moment? I'm sure he didn't, or they probably wouldn't have found respect for one another. Will Kanye Delete This Tweet, Too? Will Wiz Respond Via Twitter? Wiz, fans are now impatiently waiting to hear about your Kanye make-up session. What's next for them? A collaboration? However they decide to interact moving forward, let's hope it doesn't involve another Twitter feud.